Support for containerization is accomplished by giving the option to deploy pre-built models as Docker containers, allowing these to run wherever Docker is available. The announcement of Microsoft closely follows Google's launch of Kubeflow Pipelines, which provides support for machine learning through Kubernetes containers. 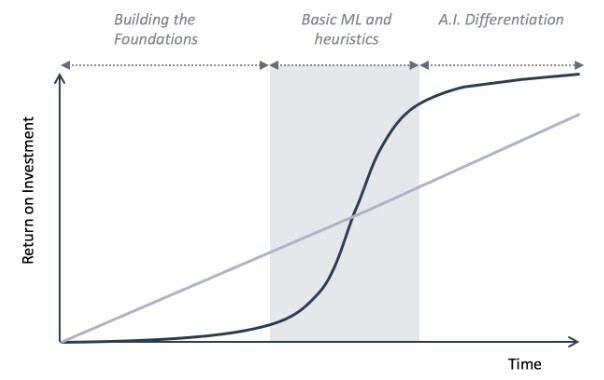 Seeing that, it is logical these services focus on bringing the foundations for ML platforms, allowing companies and developers to instead concentrate on harnessing the actual value which ML and AI can bring. With container support, customers can use Azure's intelligent Cognitive Services capabilities, wherever the data resides. This means customers can perform facial recognition, OCR, or text analytics operations without sending their content to the cloud. Their intelligent apps are portable and scale with greater consistency, whether they run on the edge or in Azure. Initially, five of Azure's Cognitive Services are available through containers, with more expected to follow later. Recognize text through the computer vision service; extracts printed text from images of other objects. Face recognition through the face service; detects faces from images and identifies various attributes like gender and age. Additionally, this service can also compare faces and determine if two of these are from the same person. Key phrase detection, through the text analytics service; extracts the main points from a phrase. Language detection, also through the text analytics service; detects up to 120 different languages on a given text. Sentiment analysis, once again through the text analytics service; determines if a text has a positive or negative sentiment. To get started with Cognitive Services in containers, either sign up for the face and text recognition services or start immediately using one of the other services. The images are available from Microsoft Container Registry or Docker Hub, and after pulling them in they can be configured and used in a Docker environment. Finally, it is important to note that, when using the containerized services, even though they send none of the processed data to Azure, a connection is still required on start-up and at regular intervals. Metrics for billing are sent over this connection, where the costs currently are the same both when using Azure or the container images. Do you think it's possible to apply ML to WORKFLOWS?